I have been meaning to write this post for a long time now, but never really found the inspiration or appropriate time to do so. But now is the time! So many people want to eat healthy, want to eat plant-based, but they are also on a budget and have no idea how the hell they can manage to do it when healthy food is so expensive.. or so it appears. The idea that Healthy Food is Expensive is not really accurate, more so we should say Healthy, pre-made, pre-packaged food is expensive.. because the ingredients themselves are not the expensive part.. it is the healthy ready-made salad bowl, mixed fruit cup, acai-bowl, hummus & veggie platter, veggie wrap, and deli foods in the supermarkets, deli sections, health food stores, grab-and-go restaurants that are EXPENSIVE. This post should help you navigate the hectic world of healthy eating, plant-based foods so you are able to make CHEAP meals and healthy on-the-go options moving forward. I will attempt to accomplish this via sharing a few tips from experience, a few cheap recipes, but by also sharing with you some of the BEST RESOURCES out there right now on this very topic! Because lets face it, I am not an expert in this field.. I am an expert in eating whole-food-plant based while making it nutrient rich, sustainable, filling and nourishing for myself and Gwen as runners.. not necessarily crunching the numbers and showing you how to eat on $25 per week..
Luckily I know just the person, PLANT-BASED ON A BUDGET.COM is a fantastic resource that is here to help you out! As we were cycling the other day inside, we listened to lots of podcasts, and got our daily dose of The Thought Food Podcast (our favorite), which inspired us to finally talk about this subject again, and to share with you their helpful tips and way of looking at it, along with their podcast itself. Which you really should listen to if you want to laugh and learn. Baked oil-free fries on parchment paper are always a good choice! Ok so let’s break this down. Starting with my tips, then moving into Aaron & Jackson’s tips & podcast on the topic (TFF lifestyle episode 88), and finally sharing with you some top tips from Plant-Based-On-A-Budget, and all the goodies from her. My experience with this all started earlier in 2017 when Gwen and I quit our jobs to start on the backend of our non-profit “Plant-Positive” .. ..
we basically had no money and are still living on a pretty darn tight budget. Which is actually fantastic because it made us get real creative and share with you guys our experience, what we learned, how we shop, cook, etc. At the bottom of this post I will include the videos we made about shopping on the cheap while in France, which doesn't matter that we were in France, we buy the same things here too, just in larger quantities. Bulk bins are usually way cheaper than buying things in packages, however it is really helpful to read the price tags and look at the price per oz or lb, and then make sure. We have found that there is an even CHEAPER way than buying in bulk, buying 25 lb bags of beans, lentils, oats (rolled and steel cut), rice, barley, flaxseeds, etc. Where to find these huge bags? Sometimes you can find them at costco, but we have only found rice and pinto beans there. We get the rest at either Winco or Cash & Carry. Cash and Carry has amazing prices, you can use a credit card and it is open to everyone. They have all sorts of crap processed foods in there so don’t get lost.. make a list, stay on track and get whole-foods like bags of beans, oats, spices, produce. Click the image to go to our YouTube series on easy recipes like this one! We really cut back on the number of different items we buy and we actually did not cut back on quality or taste. Simplifying is not only for your bank account but for times sake. Stick to staples like beans/lentils/chickpeas, rice/quinoa/barley, oats, potatoes/sweet potatoes/yams, whole-wheat pasta. With those few staple foods you can create almost any dish you want… seriously. Simplify salads and sides. We used to make really crazy salads that took lots of time and ingredients, we now focus on greens and anything else that happens to make it into the salad is a bonus. Not only are frozen berries and veggies much cheaper than fresh, but they are really good and actually probably fresher than fresh because they are usually frozen the day they are picked. Frozen veggies and berries are now inferior in nutrients to fresh, they are just as nutritious so there is no reason to avoid them, and they are easier to store, keep longer and faster to cook! 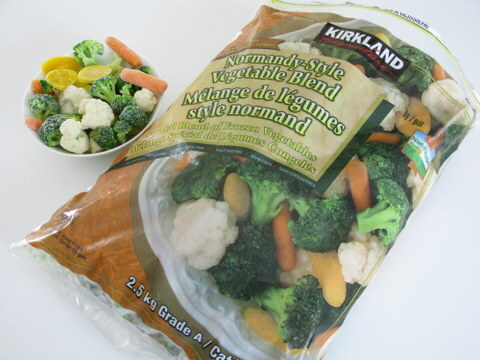 We buy our frozen berries at Costco and can usually get them for under $2 per lb, we also get our frozen veggies at costco, we get a mixed stir-fry vegetable bag, frozen peas, frozen broccoli, and sometimes edemame. Often we can even get them organic for cheaper than fresh conventional vegetables. We then steam up the vegetables and add them to our spinach salad, put them in a dish or eat them as a side. You can get pressure cookers for as cheap as $35 these days, and you can get a top-notch one for $90 like the Insta Pot that we got last year for my birthday. This thing can do it all, it can cook all those dried beans and bulk grains that you don't know what to do with, in less than an hour! With a pressure cooker you do not even need to soak the beans! You can also steam sweet potato, potato, beets and vegetables in literally minutes! This not only saves so much time, but also electricity because cooking any of this stuff over the stove-top takes hours! Now you can combine your bulk grains/beans with this cooker to save so much time and money! But actually using it and prepping is key. see next point. Having bulk food and a pressure cooker is great but if you do not prep/cook it and make it practical, easy and tasty then it probably won't work. making overnight oats the night before is another amazing way to go! On either the weekend or a day off, prep/cook your food for the week. We do this and it is amazing. We always make a big insta-pot of beans or lentils and a grain - that way we have all the fixings for a burrito or salad bowl. We also make chilis or stews by combining random quantities of beans, barley, vegetables, a can of tomatoes, with water, miso paste and random spices. It always turns out good, and is always different. Plant-Based-On-A-Budget has great recipes for a one-pot pressure cooker that you will love if this sounds good to you! TIP: Sometimes we make so much food on the weekend that we cannot possibly eat it all during the week, and if you are cooking for yourself this may happen. Don't worry, still cook that much, but FREEZE IT. We portion out what we think we will eat during the week, and then we put the rest in tupperware and pop it in the freezer… make sure that when doing this you do not fill the tupperware completely as the contents expands when frozen. We most often do this with beans/chickpeas and rice. We even put it into smaller portions and then freeze it so you can pull one out at a time for a particular meal. This saves SO MUCH money over buying canned & cooked beans! Are you tiered of buying a big container/bag of spinach/kale/greens for smoothies but it always gets slimy and gross before you can eat it all!? We are, and we are so happy we discovered this tip. 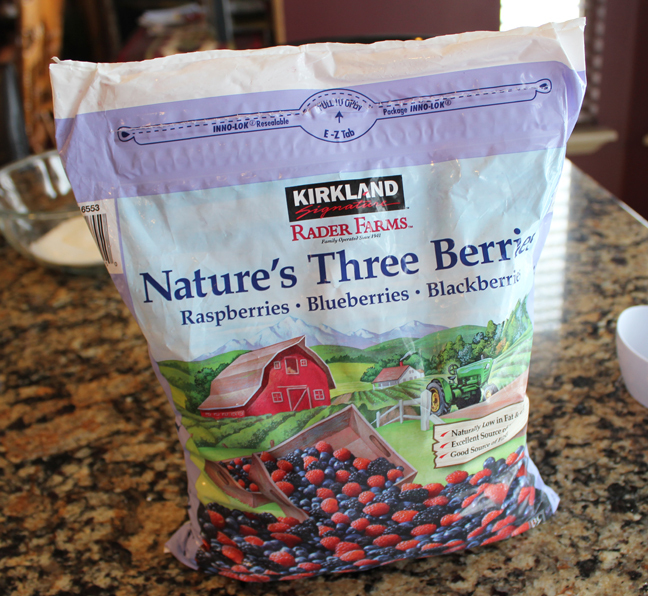 Freezing the entire bag…Yes it works like a charm, no need to pre-package it into individual servings. When you put the entire bag or package of greens into the freezer you can just take that bag out when making a smoothie and grab a handful of if out, they greens don't really clump up so it is super easy. Game changer! Click the image above to listen to their podcast and visit their website and blog post on the topic! Aaron had some really cool comments about saving money shopping for organic food. He said that the in-house brand of organic is WAY cheaper than the other brands that any store may carry. So for example at Whole-foods their in-house organic brand is 365 and it is much cheaper than all other organic brands they carry. Walmart in-house organic brand is “Great Value Organic”, Safeway: “Organics”, and so on..
Jackson said that he saves lots of money by eating beans/lentils, potatoes and grains as the staple of his diet.. Along with Overnight Oats for practically every breakfast, and a banana berry smoothie for lunch.. Oats, bananas and frozen berries are super cheap which makes his advice spot on.. it is very similar to what we eat every day! I do not want to go into details here, but Toni - the creator of the site, gives this as her #1 way to save money and I totally agree! Having an idea of what to buy to make specific meals is key!! In our coaching program we offer a plan that includes nutrition coaching with meal plans and shopping lists, they do not cover specifically how to eat on a super tight budget, which is toni’s specialty. So I recommend checking out her amazing meal plans, which are tailored to spend $25 per week on food which is just insane! Find her FREE meal plans, recipes, resources, cookbooks and more at her website. and if a plant-based diet like this can give you enough protein.. my short answer is YES it does.. it will give you PLENTY of protein if you are getting enough calories. We cover this briefly in our Free Nutrition Guide, which you should definitely download if you have not all ready..
watch this series of videos by NutritionFacts.org explaining protein on a plant-based diet. click the image to get the book! read TFF Lifestyles $10 book on protein “Dude, where do you get your protein” - The complete guide for the Plant-Based Endurance Athlete. This book is gold, seriously. It will clear up all your questions and concerns on the matter and the money goes to a great cause, keeping these guys going and making amazing content for us all! If you want to eat like us, the best place to start is by getting a copy of our cookbook!